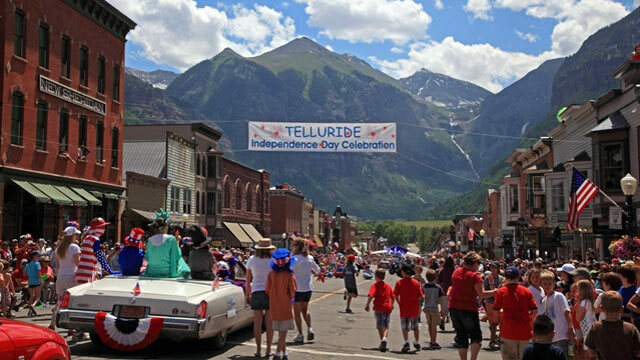 Telluride draws a spirited crowd for a parade, party and firemen's picnic that takes over the downtown strip. intro: From the New England coast to the mountain mining towns, small town USA loves a good Fourth of July party. While big-city celebrations tend to steal the spotlight, there are plenty of smaller-scale places to celebrate our nation's independence worth checking out. Click through the next few pages for 10 of the best small towns to celebrate July 4.